The DePaul Magazine article “Moral Injury and the Military Veteran” discusses the university’s Multi-Faith Veterans Support Project, a new program from DePaul’s Egan Office for Urban Education and Community Partnerships at the Steans Center. The project is helping to educate faith communities and behavioral health organizations on how to reach out to veterans in the community they suspect are suffering. One of the project’s partners is the Soul Repair Center at the Brite Divinity School in Fort Worth, Texas. Below, the co-director of the center offers additional insight into moral injury. Poll any random sample of people, and most will have heard of post-traumatic stress disorder (PTSD). Ask the same group about moral injury, and the opposite will probably be true. 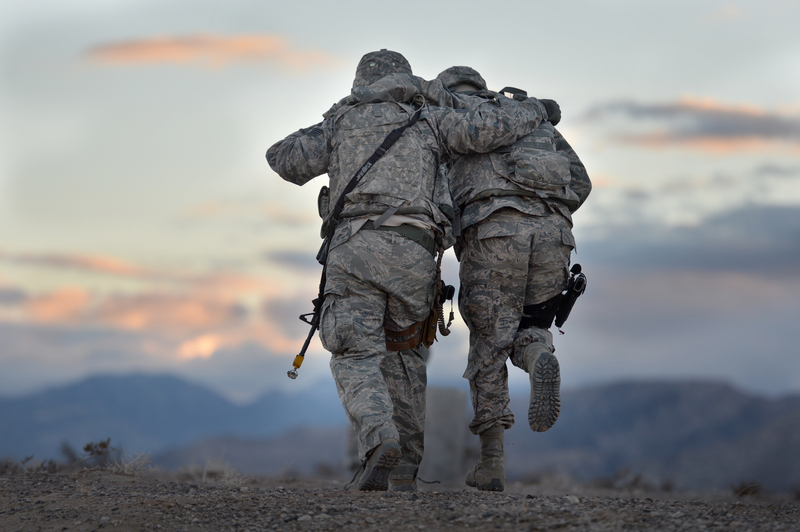 Although many have never heard of the concept, it’s quickly gaining awareness among the clinical, pastoral and military communities who work together to help veterans who are suffering. Brock says that though counseling is an important piece of the treatment for moral injury, it might not be enough. Veterans can make progress when you bring in someone who will listen—like a family member, friend or fellow veteran—as well as someone who can help rebuild what Brock calls a “meaning system,” such as a pastor or other spiritual leader. Photo credit: U.S. Air Force/Tech. Sgt. Nadine Barclay. As a Vietnam Veteran I was interested in your article on “moral injury”, but disappointed in the lack of examples. I.E. what are you talking about? The military does not require you to do things that are not in keeping with the American values. Also it a voluntary force. I know PTSD is real but you state this in not PTSD. An example or two would have gone a long way to make this meaningful. Also I could not find the Online Extras you refer to so may that’s where the examples are. Another issue veterans could be having is knowing God’s forgiveness and being able to forgive themselves. The word on Moral Injury is starting to get out there. I’m working with several organizations to help veterans dealing with Moral Injury (as well as PTS, MST & TBI.) I send my thanks and best wishes to DePaul and McCormick on your fine work. God bless.